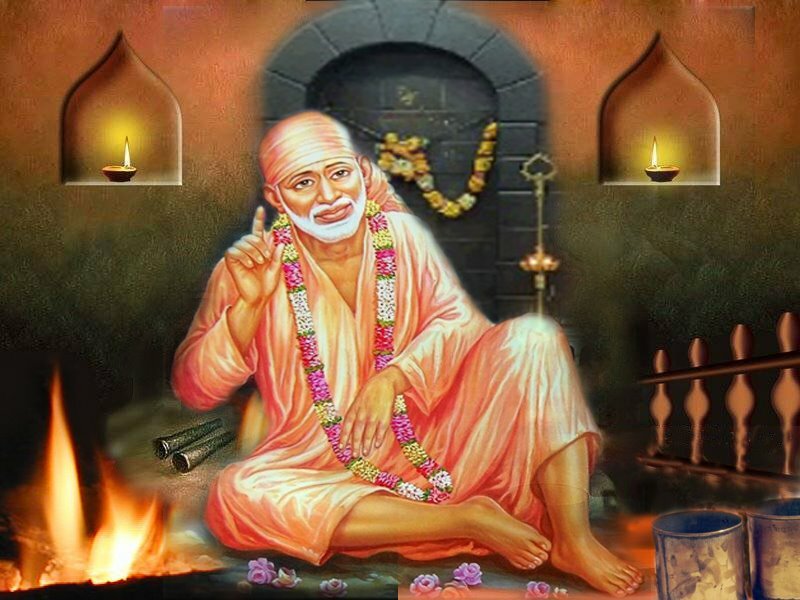 Sai Brother Raghavendra from India says: I am Raghavendra from Bangalore and I have experienced the blessings of Baba and here I would like to narrate my experiences. It’s my humble request to you to post this experience which changed my life and it may change others perspective towards the divinity of Baba as well, it’s nothing but a miracle happened, only Baba can do it. I was brought up in a traditional family and I was told that Baba is incarnation of Bhagawan. But I never prayed and visited Baba's Mandir. When I was in the final year degree, at that time, my brother advised me to visit Baba Mandir which is situated near to our house. At first I was reluctant to visit, but as Baba says that He would drag His devotees towards Him, in my case also it happened. When I had entered to Baba's Mandir for the first time, I lost myself and forgot everything. The Statue of Baba made me to realize that divinity is existing in the form of smiley Baba's eyes, which assured me that everything is at Baba's mercy. I did not know what to do after graduation. I did not score good marks in exams as well. All my friends got good offers and joined some reputed companies and some others had joined post graduation. I did not have good marks or money and even any recommendation or influence. Then where else I should go for my survival in this competitive world. I left clueless. But for those who don’t have anything need not to worry as long as Baba is there. I stood in front of Baba's Statue and pleased Baba for success. I requested and pleaded "Baba, please bless me and never let me down at this stage" while seeing Baba’s Photo and Statue, I felt positive wave length. I got Udi as Prasad after first visit, later I had visited Baba's Mandir 5-6 times in a month and every time I have requested and pleaded "Baba please bless me in any form and show me the path. Never let me down as I don’t know what to do next?" Now, the miracle happened as my Baba listened my request. He knew what to give and when to give. I did not apply for any post as I was feeling very low and considered myself as unfit for any work due to my poor marks. But, Baba took care of me. One of my cousins offered me a job which was very near to my house. I did not know how to react, because I never told my cousin about anything, but he asked me to join within 15 days. 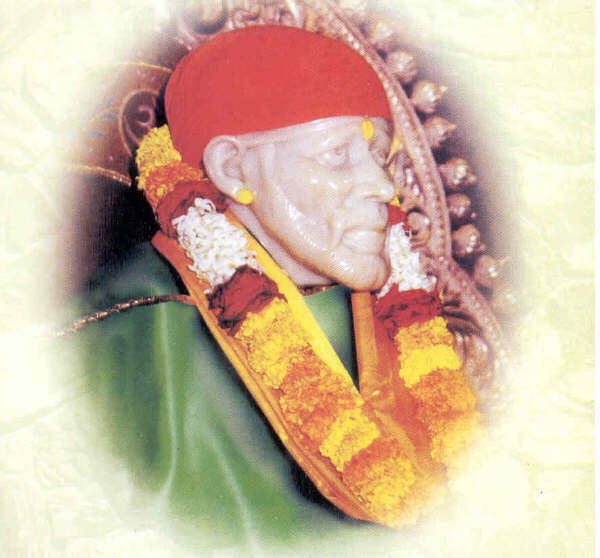 As my joy had no bound due to the blessings of Baba, I have chosen Thursday to join the work. Till today I have been working in the same work place with no tension and working in a good environment, it’s all because of the blessing of Sai Baba. I am feeling so good at this work place and always carry Baba's Photo in my wallet. Anonymous Devotee from US says: Hi All- I am a devotee from Georgia and I have been a devotee of Baba from a few months and I have experienced a couple of miracles or experiences and I am posting two of such experiences. Please keep my name and email address anonymous. Anonymous Devotee from India says: Om Sai Ram. Since childhood, i am great devotee of Baba. Baba helped me all the time. I have many experiences with Baba. On this Ramanavami day, a miracle happened. Two of my students came to play with my daughter. They played for sometime meanwhile i called my daughter for taking bath. I got a call from my mom. I said i will talk to you later and I kept my mobile near the window, since my hands were wet. I had given bath to my daughter and made her ready. We were about to go to temple and i was searching for my mobile and i remembered it’s near the window. When i went there i couldn't find my mobile. I was asking my students did you see my mobile. They said No and we searched whole house but i couldn't find. I got doubt on one of my student but again i thought they are good. We searched the whole house and didn't find. I was praying to Baba that i should get my mobile back, because its gift from my husband. Meanwhile i called my neighbour and was asking to give a call from her mobile. Then she told me that she had seen my mobile with my student. He went out and came inside within a fraction of second. While going out he had mobile in his hand and while coming he didn't have anything. Then i asked him whether did he take, he was saying that no Mam, i didn't take your mobile. After a long time i said if you do such things it’s not good. Baba is seeing everything. I told him tell to your sister and bring the mobile back. I will not tell to your parents. After sometime he told her sister that he kept the mobile inside the park which is opposite to our house. Finally i felt relaxed. I had to thank Baba because if my neighbour didn't see that, i couldn't have come to know that my student has taken my mobile. I have lot more experiences with Him. I am very thankful to Baba. Till now i am very much happy with whatever He gave me except one thing. I am trying for a job since 1 yr but couldn't find till now. Hope Baba helps me to get my job soon. Sai is our mother he knows what is good for us and when. Trust him and don't worry you'll get the best. But when? M keeping fast from last 5 years Sai is not even listening 2 me in this matter. 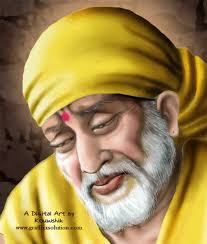 I did everything jap,vrat but no answers from Sai . If marriage is not in my destiny dn plz Sai clear my thoughts n dn I want only spiritual life. But plz clear my mind from others things first. Decide one thing 4 me Sai . Om Sai Ram. U r here n m crying see wt r u doing with ur baby. Guru's grace only is one's sadhana. Jnana or wisdom comes as experience or in the wake of the Guru's grace. He alone succeeds who feels the Guru is the one person needed. Without a Guru, there is no realisation. It may be recalled in two earlier issues of "Saipadananda", I had narrated the rescue acts of the Guru who once again, about three years back saved me from certain head injury. The phone at home started malfunctioning as the cable connection on the wall outside snapped a couple of times, and restored by a departmental lineman. To avoid delay, I undertook the adventure of using a ladder to set right the snag the next time six or seven feet up. After successfully accomplishing the job, I started descending the ladder. I missed the third step and fell flat on my back, the back of the head absorbing the impact from the floor. Everything was dark for a few seconds and when I opened my eyes I could see something from my face flying and falling outside the compound gate about 12 feet away I could raise myself without difficulty. Curiously, I went outside the gate to find the flying object to be my pair of spectacles, of course, much younger than the old owner. Happy that both were in tact, I could make my usual Pilgrimage to Sri Sai Spiritual Centre the same evening. I wondered whether I was trying the patience of my Guru or inadvertently putting him to tests! Baba, I want to know what happened to my grandma. Please indicate me. If she is alive, please help us find her. I miss her so much. If she is alive, please keep her healthy and bring her to me. Please Baba. Do this for me, Baba. Baba m lost but I believe in you and I know you won't let me down ever. You are my mother sai and you can't bear something wrong happening to me. I leave everything to you and wait at your feet. I'll take what you give me sai I won't ask for anything more. I love you baba waiting to see you again. You are in my heart ever living. I love you. Once, three ascetics belonging to Giri, Puri and Bharati sects, came to Akkalkot. tongues and the speech was restored. gets accomplished, you will be fully satisfied. Akkalkot rendering devotional service to Sri Swamiji till their end. omsairam. please bless us to come out of these problems. omsairam. O Sai, look up on us kindly and sweetly and help us spread only love and cheer in this world. मेरे जीने का मकसद पूरा हो जाए !! और तेरी सेवा में मेरी जिंदगी गुजर जाए ! SABKA MALIK EK ... OM SAI RAM....!!! om sairam,om sairam,om sairam,om sairam.